HAS Sunshine Coast golden boy Grant Kenny become a bearded recluse? If you believe the latest edition of Woman's Day magazine, the former ironman has gone into hiding and grown a "grandpa beard" as a disguise. The mag claims the 49-year-old has become a hermit following the birth of radio presenter Fifi Box's daughter Beatrix Belle. Grant has been named as the father of the five-week-old but neither he nor Box have publicly confirmed the claim. 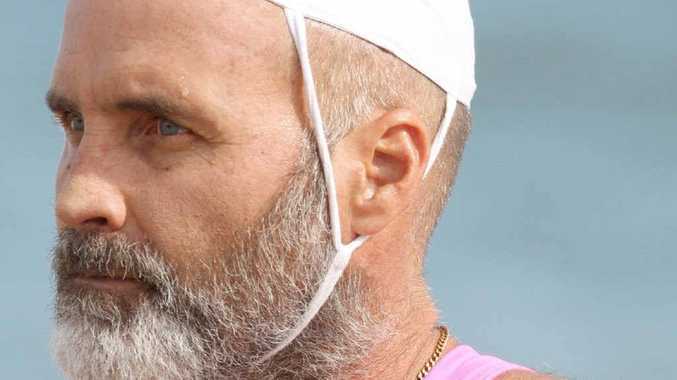 Despite reports he "hides away from the world", Grant was far from cowering in the corner when he attended the recent Australian Surf Life Saving Championships on the Gold Coast to support his son Jett. And people on the Sunshine Coast who saw the magazine's report pointed out he had been sporting the whiskers for several months. The magazine report alleged the sporting legend, who is used to being in the spotlight, had found it hard to cope with the attention on his private life. It even suggested he could be suffering from a mid-life crisis as a result. When contacted by the Daily yesterday, Grant declined to comment.